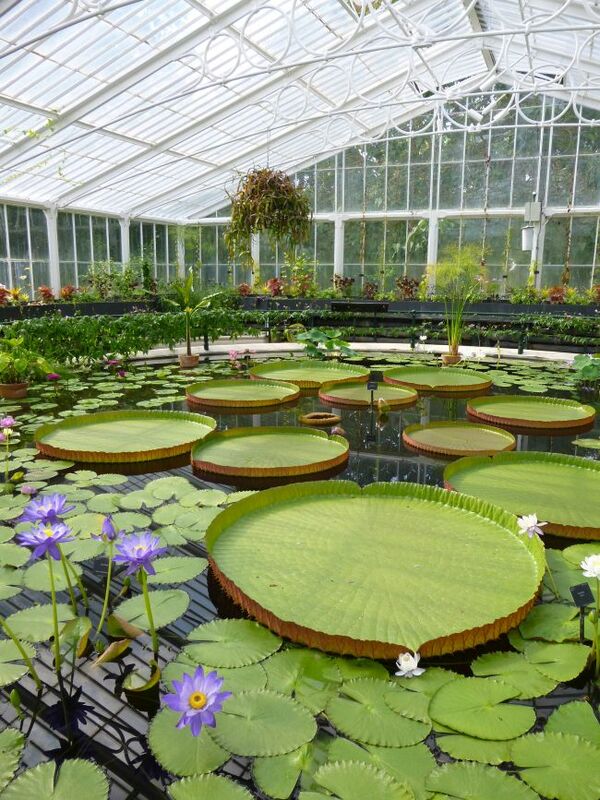 One of the great summer attractions at Kew Gardens is the giant waterlilies. 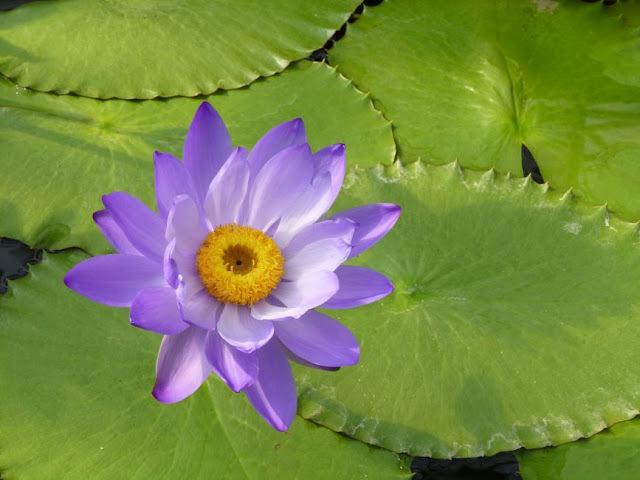 British botanists first discovered giant waterlilies in 1801, later naming them "Victoria amazonica" after Queen Victoria (because if you're a Brit and you've got something big and impressive to name during the reign of Queen Victoria, you're probably gonna name it after Queen Victoria). 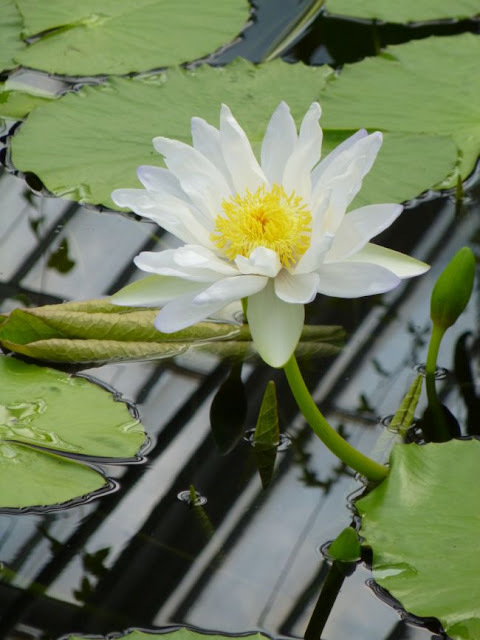 Kew's Waterlily House was completed in 1852 and is small but perfectly formed. 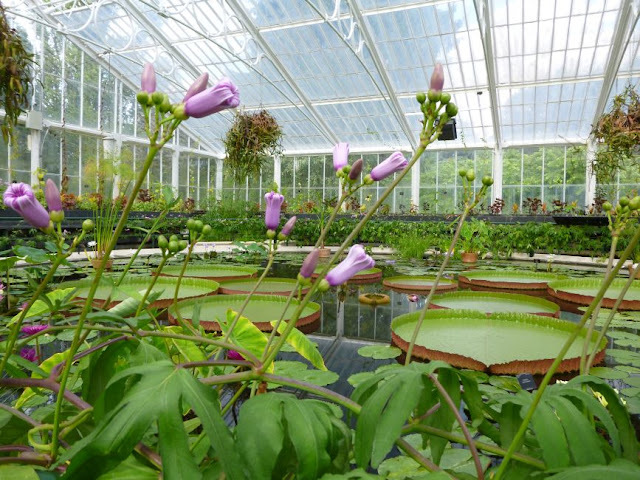 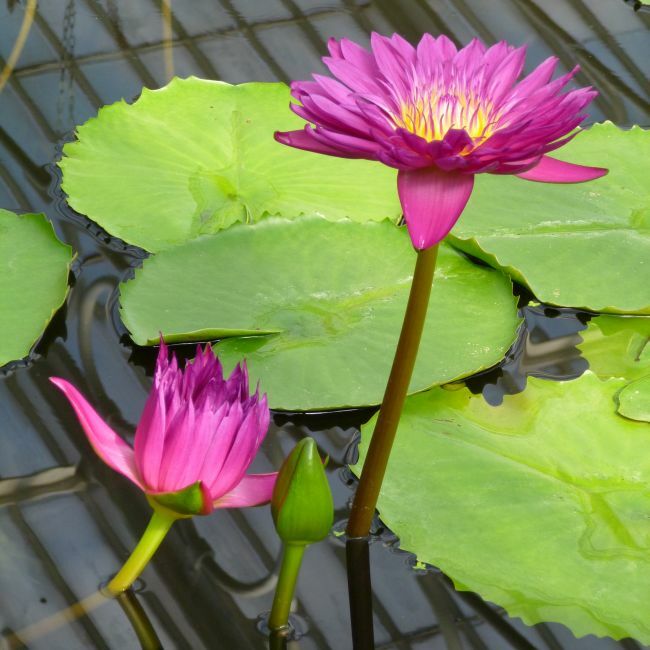 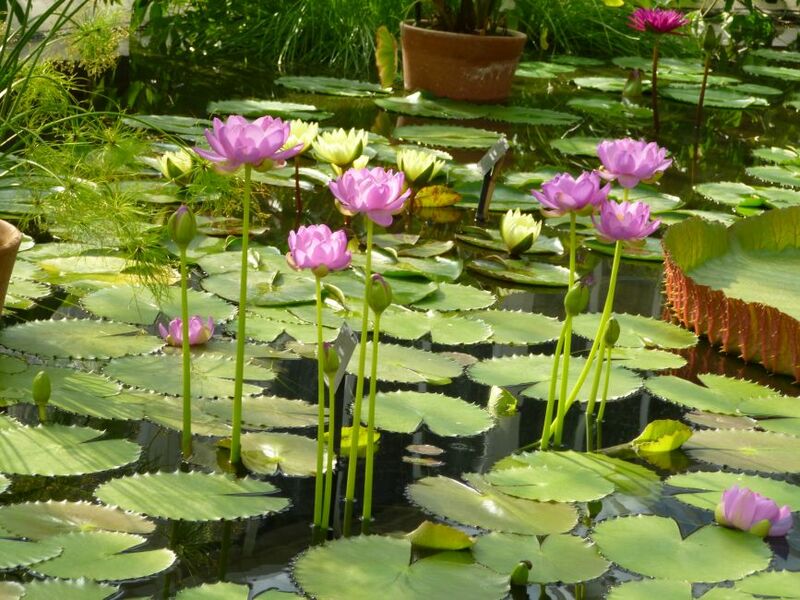 It's hot and humid (the hottest of Kew's glasshouse environments) and is home to the waterlilies, of course, as well as lotus flowers, ferns, and other tropical plants. 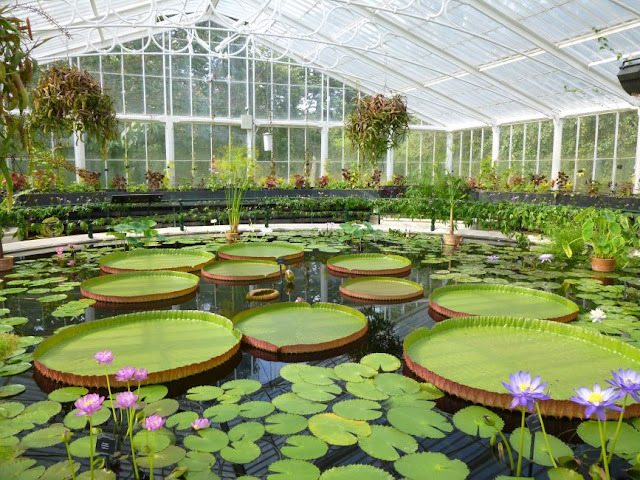 (You can also find giant waterlilies in the pond in the Princess of Wales Conservatory during the summer months at Kew - I'll share some photos of those in a later post). 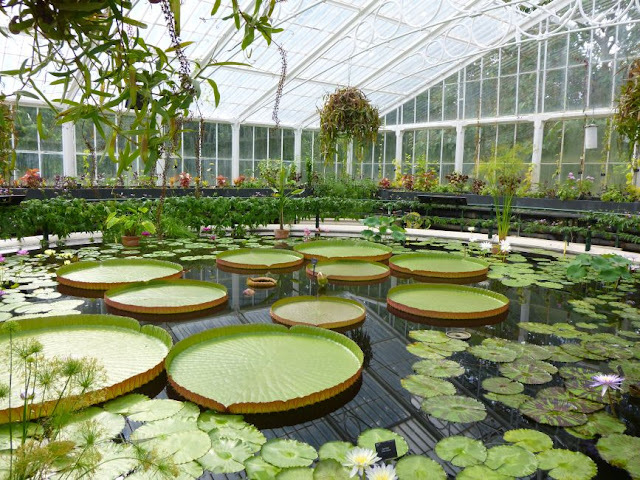 I love this little glasshouse, with its round pond and dyed-black water - though I have to admit that I found the heat a little overwhelming at the very height of summer. 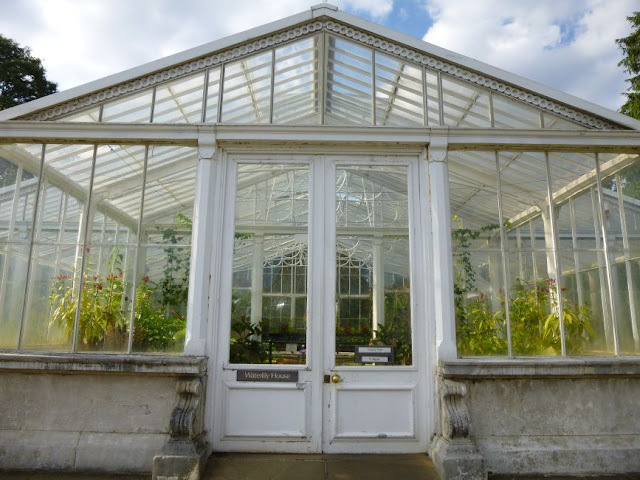 I definitely prefer visiting Kew's glasshouses on cooler days! 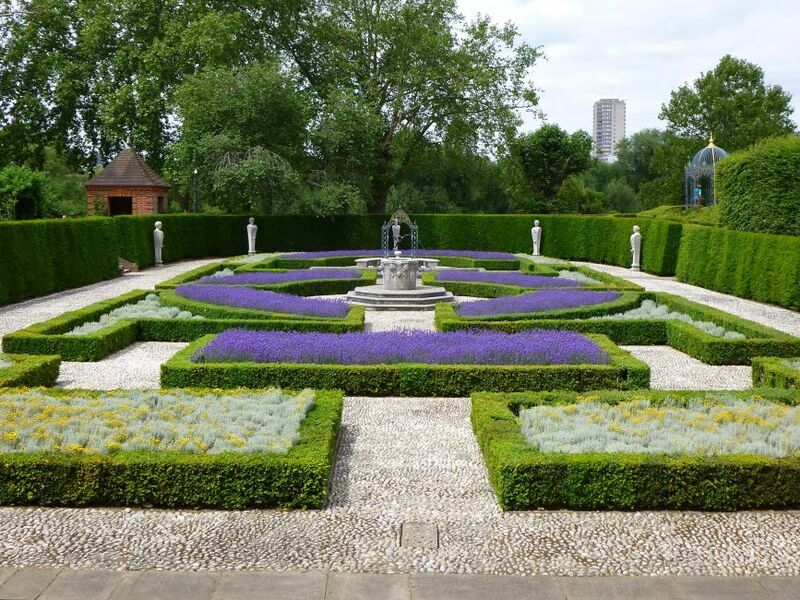 Another of Kew's summer delights is Kew Palace, which is open to visitors from April to the end of September. 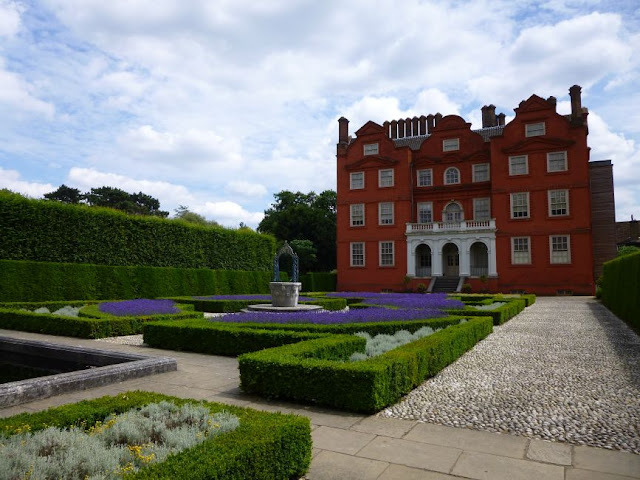 Kew Palace was originally built as a mansion for wealthy silk merchant in 1631, but was leased by George II and Queen Caroline in the 1720s. 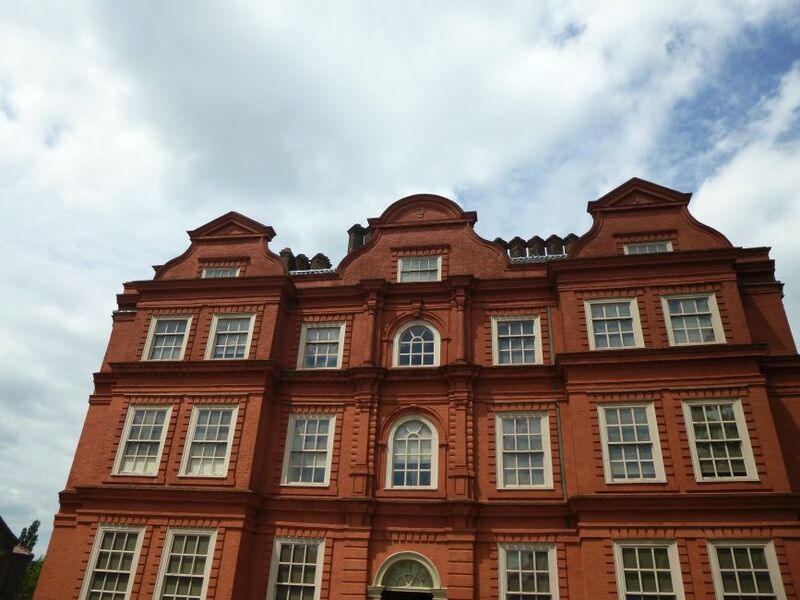 George III later bought the palace for the Royal Family and lived here during one of his bouts of "madness", and George's wife Charlotte died here in 1818 after a long illness. You can read more about the history of Kew Palace here. 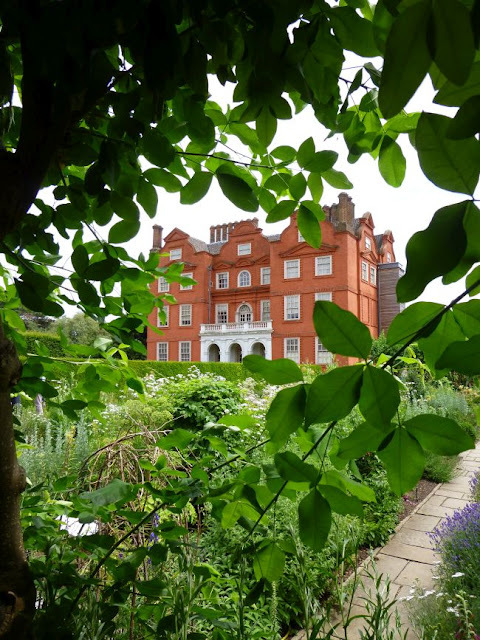 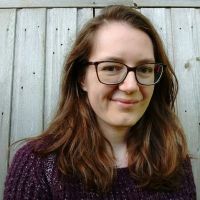 I enjoyed looking around the Palace and learning more about its history, but my favourite part of my visit to this corner of Kew was exploring the Queen's Garden next to the palace. 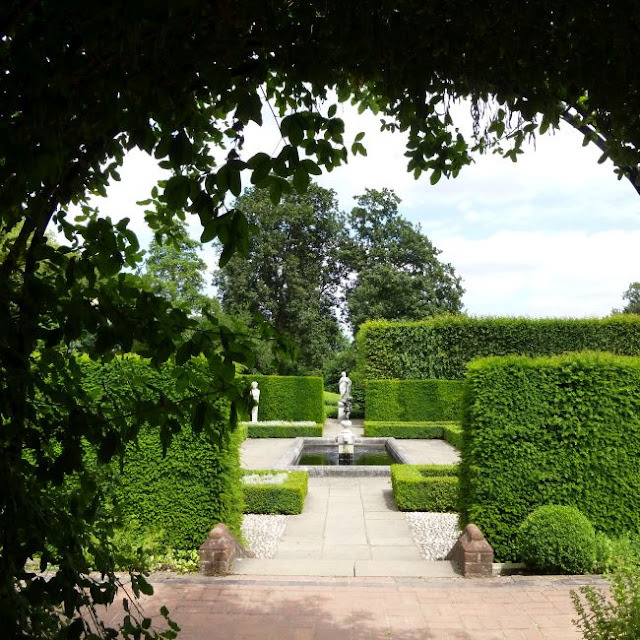 The Queen's Garden was designed in the 1960s, is inspired by 17th Century formal gardens, and only features plants grown in Britain before and during the 17th Century. In any other place, this garden would be full of people enjoying its loveliness but here at Kew it feels almost like a secret garden as everyone is off exploring the glasshouses and other famous attractions in the vast grounds. As well as the standard plant labeling, the plants in this garden are labelled with what they would commonly have been called in the 17th century, "plus a virtue or quotation from a herbal (plant book)". 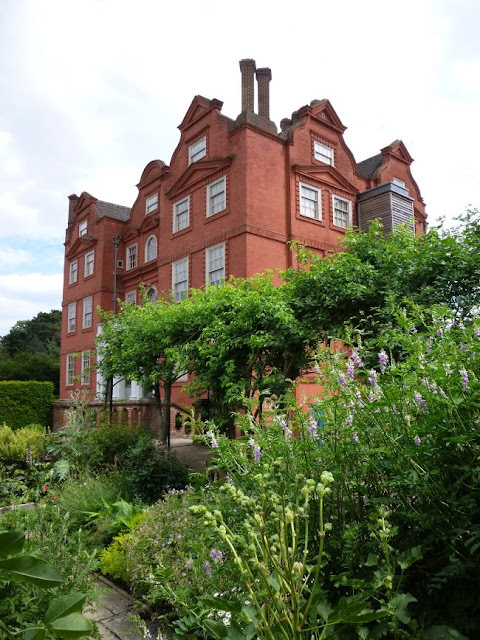 It was really nice spending time in this quiet, beautiful place, reading a little about the plants and enjoying the garden and the views of the striking red brick Palace. 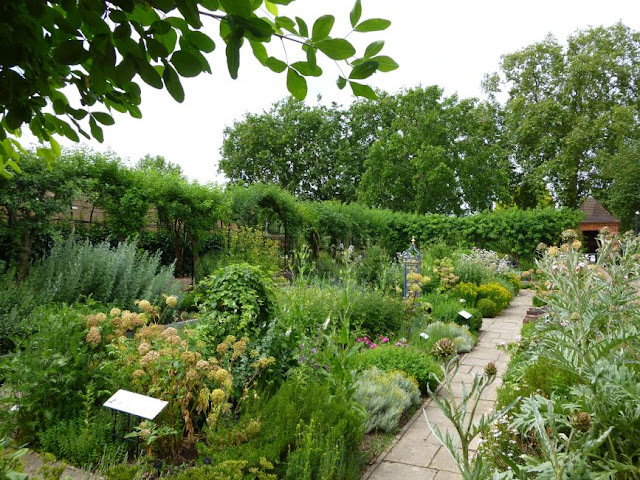 I'd definitely recommend adding this little garden to your itinerary if you're planning a trip to Kew! Click here to see all my posts about my visits to Kew Gardens, or click here to browse my entire archive of travel posts. I had so loved Kew Gardens when I visited back in 1999, thanks for sharing again!AriadnefromGreece!